Happy New Year everybody ! Hope that you will have a great time and lost of fantastic shooting opportunities. First: I think that one of the potentially interesting stories may be the introduction of first cameras by Panasonic and FujiFilm sporting their jointly developed sensor which uses an organic film for capturing photons. It was formally announced back in June (here is the link to the press release) and if we believed the claims there, there is a chance to see some tangible improvements over the standard CMOS sensors. We shall see. Second: I have a hunch that sometime this year Adobe will release a tablet version of the Lightroom. It was showed by one of the Adobe guys last year on Kelby TV (or was it The Grid ?) but it was still at a very preliminary stage, not ready for release. Considering that they decided to tease us, with that piece of info and that the processing power of tablets is improving at great rate, I think that it is quite possible we’ll see such a product this year. Does the world need an app like that ? It depends on a combination of price and capabilities but yes, I can see some useful applications for such technology. I would use it to quickly review my photos on an iPad during the times when I’m away from home on a shooting trip. As an example, I would quickly process the more promising images and use one or two as an illustration for posts on this blog. Certainly, I’m intrigued and I’m willing to try it. The image in this post was taken during my latest trip to the US South West. 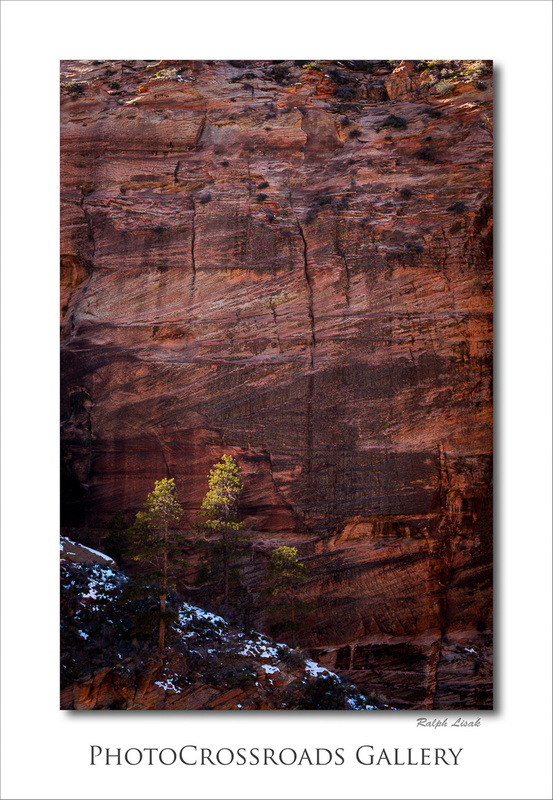 More specifically, I took it in Zion National Park while hiking from above the Scout Lookout on the West Rim Trail. Once again, Happy New Year !! !